Suitable for any dark warrior, the Rasmus Collar is an eye-catching addition to any leather armour look. 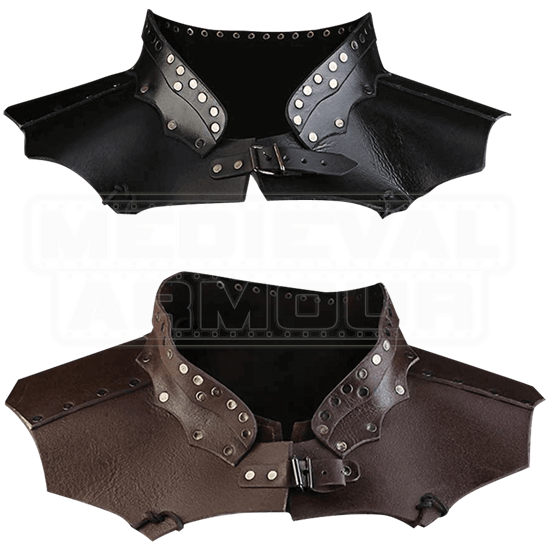 Featuring a high, wide collar, this piece makes an ideal finishing touch, as it is easily worn over other armour and garb. The collar is roomy enough to wear with hoods, helmets, and other head pieces and sits comfortably over most chest pieces. Rivets adorn the angular edges of the Rasmus Collar, and a buckled strap fastens it in the front, adjustable for a custom fit. 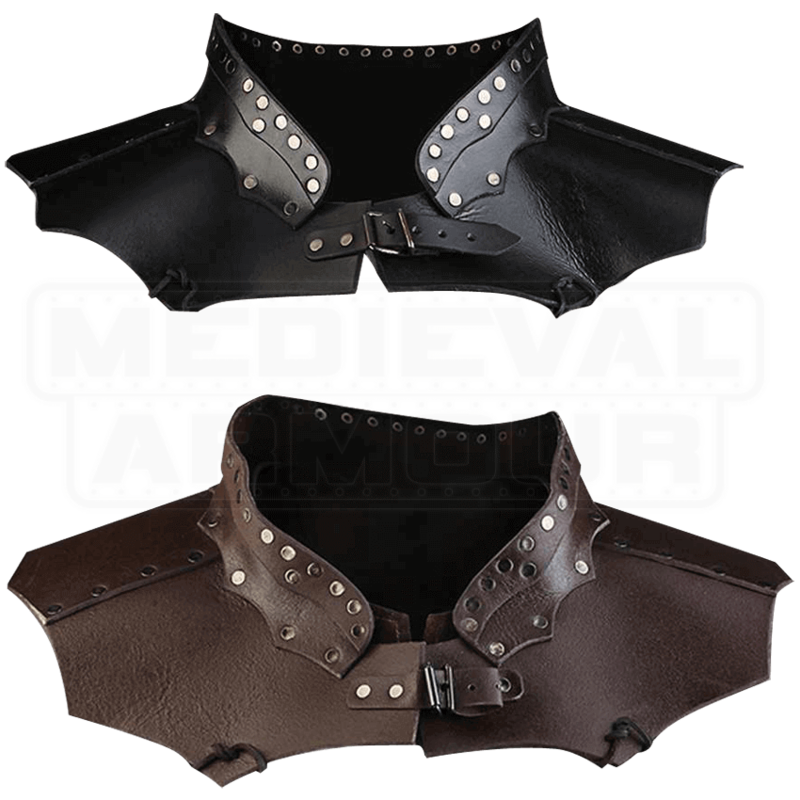 Add this stunning leather armour collar to your LARP outfit for a fantastic element of interest and detail.